This past week has been a very good time for me. I just launched this site, and I have been setting myself up for success. One of the hard, not-so-fun activities I have been committing myself to has been sending out emails to people to drum up business. And you know what? It’s not fun at all! Believe me; I would much rather have been writing another post ranting about the wrongs nonprofits do to their audience with crappy messaging. If you are looking to expand your leads like crazy, cold call email is a great way to go. There’s nothing more annoying than having a coworker constantly say “Hey Man” or “What’s Up Dude.” The same goes for cold call email. A personalized and brief greeting will open your recipient up from the beginning. 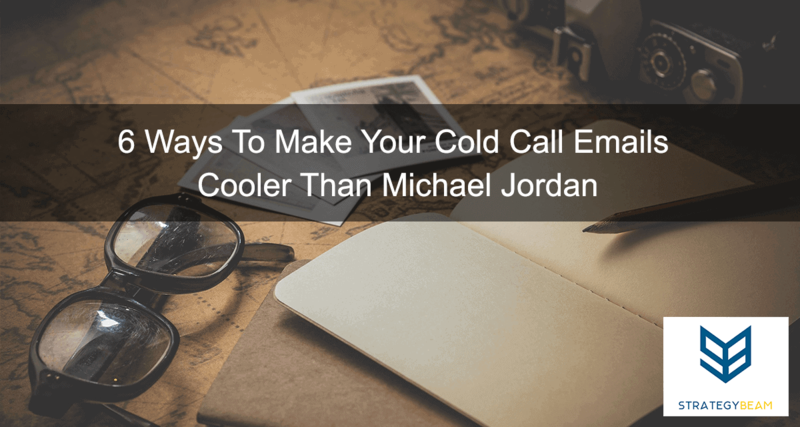 It’s OK to use a template for cold call email, but you should do some research on who the person is and adding some personalization to the email like a workplace, recent news, interests, etc. to keep it human. When I first started dating my wife, I did some serious research on her even before our first date. You better believe I knew that girl’s favorite movie (Beauty and the Beast), her favorite genre of music (R&B), and her favorite color (purple). I went in with knowledge man, and that is why I won her! The same research should be done for cold call emails. With all the tools we have at our disposal like LinkedIn, Twitter, and Facebook, not researching someone to get some personal information is just plain lazy and stupid. Don’t… and I mean DON’T… send another cold call email without spending 5 minutes researching the recipient. It will make them feel better about reading your email, and you will have a much easier time getting them to respond. I offered to bring my wife out to eat at a pretty fancy restaurant for our first date. I was looking to make a good impression and show her that I cared about her. Provide your audience with a free demo of your product or some other valuable offer from the beginning. Doing this can help get them to trust you and be thankful for your kind gesture. Remember, whether dating or cold call emailing, it is always better to give a lot at first! You offer a reliable product and service, and that is why you are reaching out to this recipient. Be sure to emphasize the benefits your product and service will give to them and make their life easier. Not too much is worse than when I receive an email that offers me a chance to do something that will benefit the sender. You are asking your recipient to spend their time to read your correspondence. Keep it short… like six sentences or less. When I went on the first date with my wife, I did not have a great conversation during dinner, pay for the meal, and just leave. I thanked her for her time and instructed her on what I would like to do next (call her for another date). This same action must be taken with cold call email. Be sure to invite the reader to take another small action to continue the conversation. If they read your email to this point, they are likely committed to whatever you are offering. Giving them direction on what to do next is only natural. This is a great point to strengthen the relationship by offering a free demo or other valuable information. Check out how I can help you grow your business through email marketing and drive sales! Now it’s your turn. What are your tips for effective cold call emails? Let me know in the comments below!